The simplicity of the great brunch or breakfast dish is the thing of dreams! But the elegance is unmatched and truly tastes like a dream. Arrange oranges on lines baking sheet and evenly sprinkle brown sugar over oranges. Broil oranges for 3-5 mins, making sure not to burn. Arrange oranges on a serving plate, sprinkle with pistachios and drizzle with honey. Ok, so I have been gone for a while now. But I have been busy. The normal everyday busy of having a family is always present but I have also started a new business designing and painting needlepoint canvases. 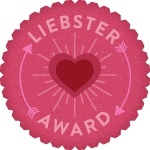 Click logo to see my designs. But I have still been cooking and I’m still a recipe contributor to my local monthly lifestyle paper. I would really like to put all those recipes here but sometimes I just don’t have time to write intros etc., so…… there may be times there is just the recipe and the pic. I hope all is well with everyone in the food blog world and I really hope to see more of you soon! Cook pasta according to directions, drain and set aside. In a large stock pot, cook sausage in one tablespoon of oil until cooked through, breaking up into small pieces as you cook. Next add carrots, onion, celery and garlic to pot with sausage (add more oil if needed) and cook until softened. Add in chicken broth, water,tomatoes and tomato sauce along with seasonings and bring to a boil. Reduce to simmer and cook uncovered for 15 mins. Then add in pasta and beans. Serve with crusty garlic bread. Ok, not going to lie – all the negativity being thrown around on social media is just bringing me down. Granted, I have my own opinions on everything but I want none of the drama. So, since it’s been a while since I have posted anything, I figured it was time for a little good – good food, that is!! We can all agree on that! This recipe is so full of flavor but very light! 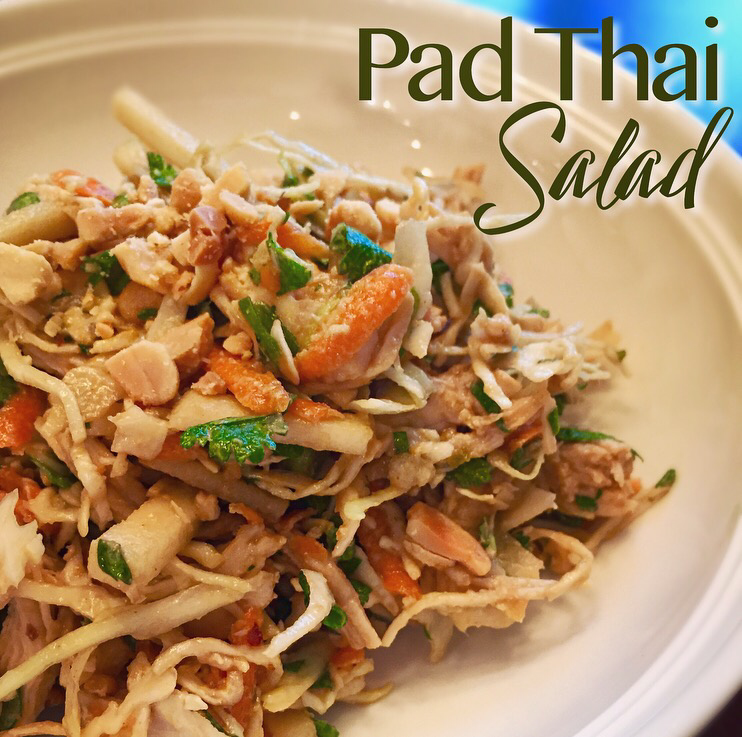 In a large salad bowl, combine chicken, carrots, cabbage, green onions and cilantro. Toss to mix well. In a medium bowl, mix together garlic, peppers, soy sauce, vinegar, sugar, lime juice, oil and fish sauce. Whisk until combined. Add this along with the water and peanut butter to a small food processor. Blend until smooth. Add apple to salad and pour dressing over salad. Toss until salad is well coated. Serve immediately. Garnish with chopped peanuts. Salad and dressing can be stored separately in refrigerator until ready to serve. I love Mexican food and I’m always looking for other options besides the regular recipes such as tacos, burritos, fajita’s etc. So when I ran across this Tamale Pie, I knew I had to try it! In a large bowl mix together sour cream, creamed corn, jiffy mix and the egg. 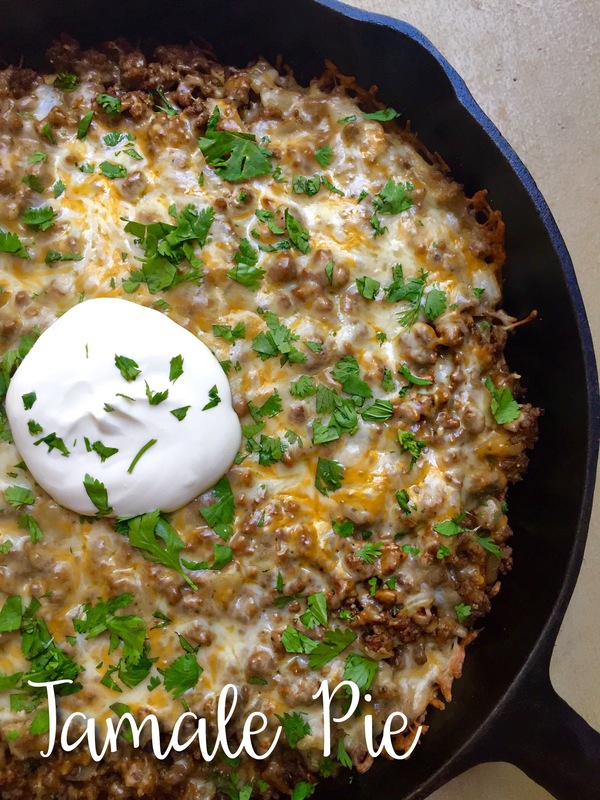 Spread evenly in a greased cast iron skillet. Bake for 20 minutes. Remove, let cool slightly. Leave oven on. While cornbread is cooking, sauté onion and ground beef in a large skillet until browned. Drain excess fat. Add in garlic, cook and stir for 30 seconds. Add in taco seasoning and season with salt and pepper to taste. Mix well. With a fork, poke holes evenly over the cornbread, then pour enchilada sauce over cornbread. Layer meat mixture, followed by cheese onto cornbread layer. Cover with foil and return to oven to heat through and melt cheese, around 20 minutes. Remove foil and and turn on broil to brown cheese. Sprinkle with cilantro and serve with extra sour cream. Lettuce and tomatoes are optional toppings as well. I get so excited when I find simple recipes that don’t taste simple! There are times I do not mind spending 1 hour + in the kitchen on one meal but I must admit, those times are getting fewer and fewer. The problem is that I miss all the goodness of those hours slaving away in the kitchen. 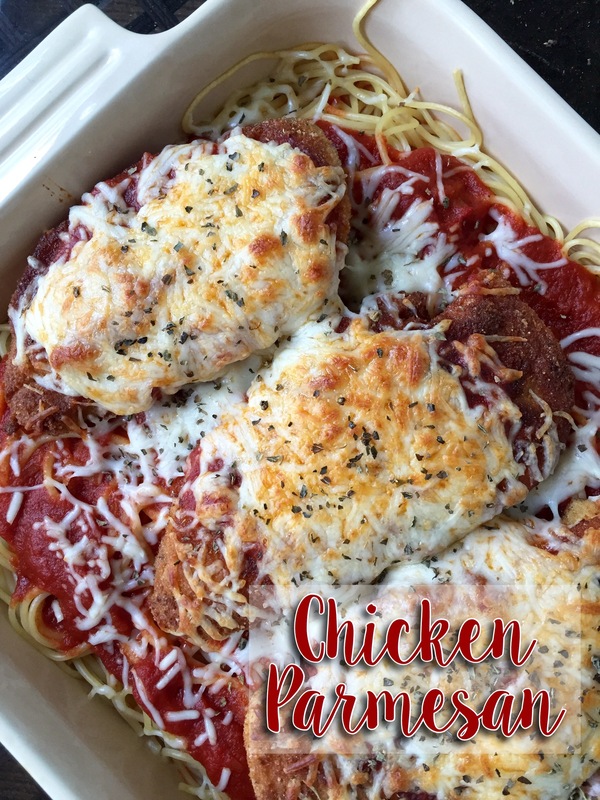 So when I run across recipes that give me both yummy and quick – I’m sold! In a large bowl, combine roasted garlic (squish it out of the head of garlic), lime juice, wine, 3 tablespoons olive oil and chili sauce. Whisk until smooth. Stir in cilantro, mix well. Pat shrimp dry and season with salt and pepper. In a medium skillet, heat 1 tablespoon olive oil and butter over medium high heat. Add shrimp and cook on both sides for 2-3 minutes each or until cooked through. Remove from pan and stir into cilantro mixture until well coated. 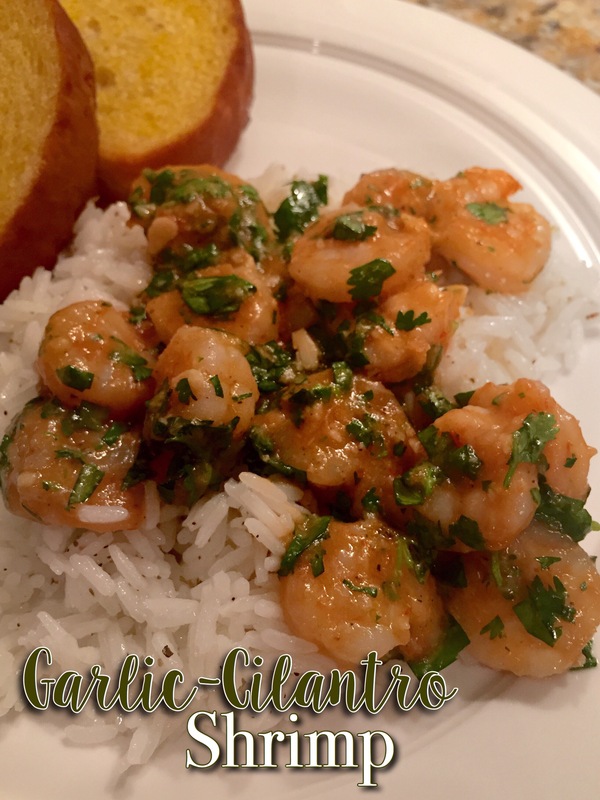 Serve over Jasmine rice with garlic bread. Preheat oven to 400º. Trim the top off a head of garlic (leaving it intact). Place on a piece of foil and drizzle with olive oil. Wrap foil up around the garlic, place in baking dish and cook for 45 mins. Remove from oven and let cool. You then should be able to pick up garlic and squeeze it out the top of it’s shell. 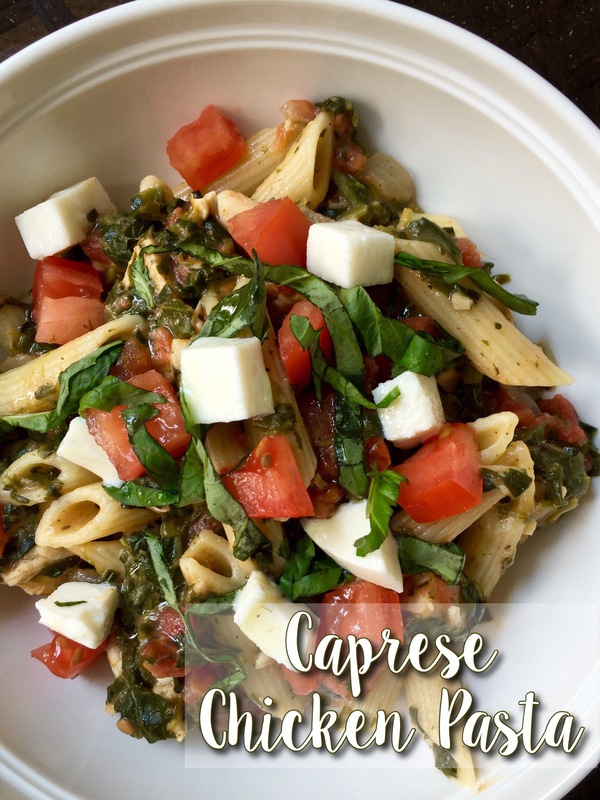 There is nothing better for the perfect summer snack than a Caprese salad. Home grown tomatoes with fresh sliced mozzarella and basil topped with a high quality olive oil and a nice balsamic vinegar drizzle. So yummy and refreshing! I wanted to extend this appetizer into a meal so with the addition of a few basic ingredients – that’s what I did. Turned out to be a great light summer dinner. In a large pot, heat olive oil over medium high heat, add onion and cook for 5-7 mins or until onions are softened a bit. Add in garlic, cook for about 30 seconds, then stir in spinach and chicken and cook for an additional 5 mins. In a small bowl, make a slurry (whisking together til smooth) with the heavy cream and cornstarch, add this along with the chicken stock and tomatoes to the pot. Bring to a boil, reduce to a simmer and stir in pasta. Salt and pepper to taste. Serve in bowls, garnish with chopped tomatoes, basil, cheese and a drizzle of balsamic vinegar. Shrimp dishes can be unbelievably quick! And sometimes (a lot of times) quick is what I really need. Especially in the summer. It stays light out for so long ( I LOVE that though), the night slips up on you! Next thing I know it’s 7:15 and I haven’t even to begin to start supper. This is why I always have frozen peeled and deveined shrimp in my freezer. It thaws super quick and with a little seasoning and rice – you have a dinner. There is a little more to the following recipe but it’s still a quick one! 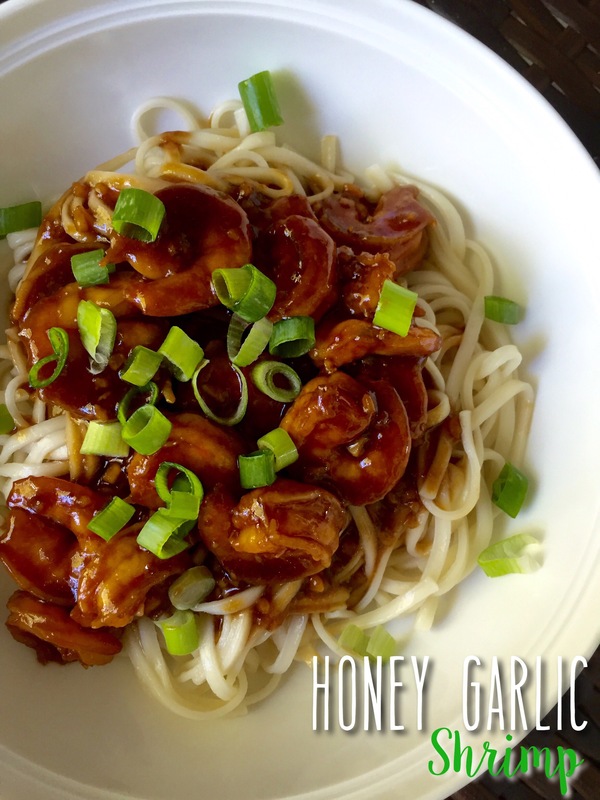 Whisk together honey, soy sauce, garlic, ginger in a medium bowl. In a large zip lock bag, place shrimp and 1/4 of the sauce in the bag. Coat well and refrigerate for at least 15 minutes and/or up to 8 hours. Heat olive oil in large skillet over medium high heat. Remove shrimp from marinade (discard marinade) and cook shrimp for about a minute per side. Add in the remaining sauce and cook until heated through, add the cornstarch slurry (whisked water and cornstarch) bring to a simmer until thickened. Serve shrimp and sauce over cooked udon noodles. Sprinkle with green onions. 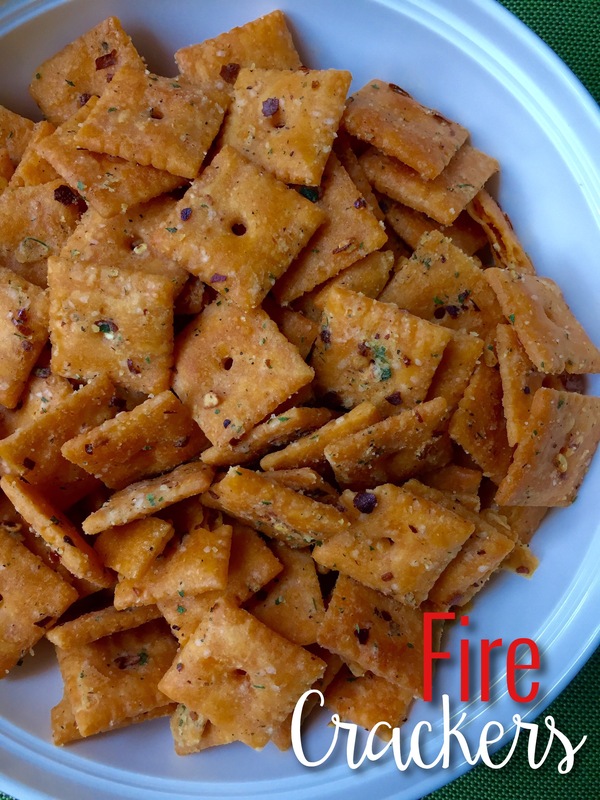 The 4th of July may be over but it doesn’t mean you can’t still have firecrackers! Below is a super simple recipe that would be great for any type of gathering. Whether it be July 4th, Labor Day, Memorial Day or for Tailgaiting. It’s a spicy twist on the classic Baked Ranch Oysters crackers. Every now and then we all need a little spice in our life! In a large bowl, mix together all ingredients making sure to get crackers evenly coated. Spread evenly on a foil lined baking sheet. Bake for 15-20 or until oil seems to have absorbed. Remove, cool on sheet and enjoy. Store in a zip lock bag. We had a great 4th of July weekend! Although we had out of town company, we really had no major plans but when you throw in fun sunglasses, fake USA themed tattoos, cold beer and a slip n slide – it’s a perfect weekend! 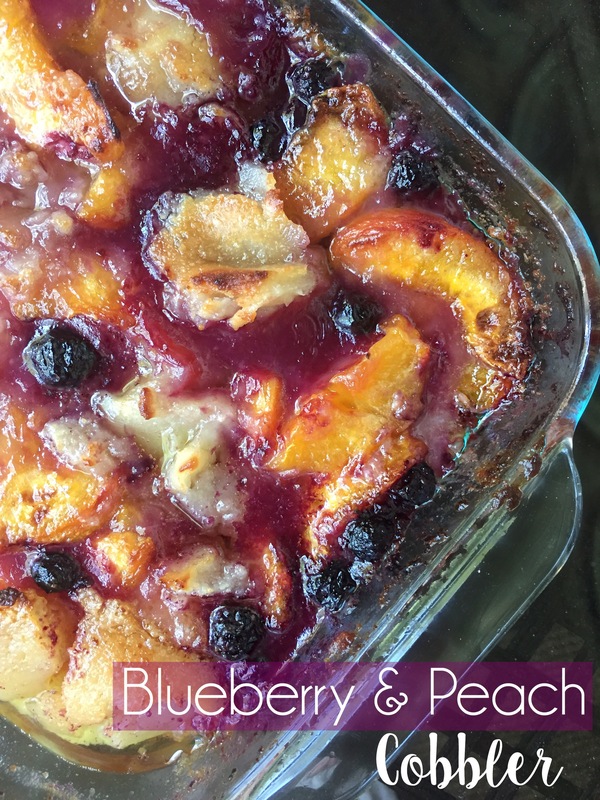 We had the usual cook out fare – grilled burgers, chips, baked beans and cucumber/tomato/onion salad but we had to finish it off with something sweet and since I had fresh Chilton County peaches and a quart of blueberries in hand, I decided to go with a classic cobbler. Preheat oven to 350 degrees. In a bowl, mix together butter, flour and 1 cup sugar. In another bowl toss fruit with 1/2 cup remaining sugar and lemon juice. Layer the fruit mixture in a 2 quart glass baking dish and pour the flour/milk mixture on top. Bake for 45-60 minutes or until brown and bubbly.